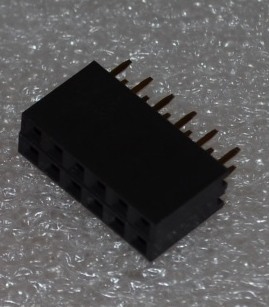 Z570M, Z5700M, Z573M, Z5730M, Z574M, Z5740M, GN-9A, B570M, TAF1317A, TAU7030, F9080B, F9080BA, TAF1093A, ZM1080, ZM1082, ZM1134, ZM1135, ZM1136, ZM1136A, ZM1136L, ZM1136R, ZM1138A, ZM1138L, ZM1138R, ZM1177, CD66, ZM1240, ZM1242, XN11, XN12, ZM1210, ZM1212, GNP-7A, GNP-7AH, GNP-17A. 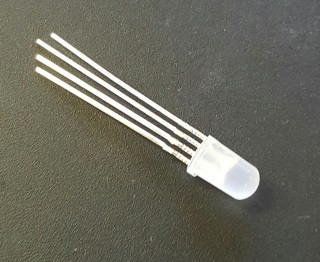 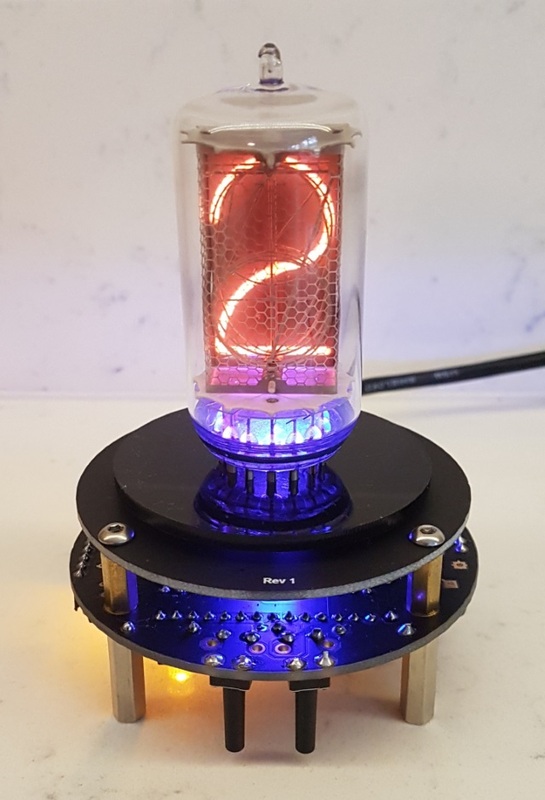 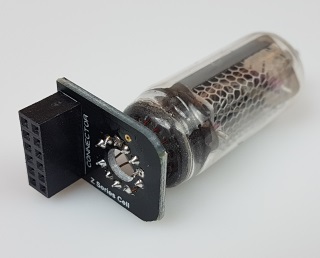 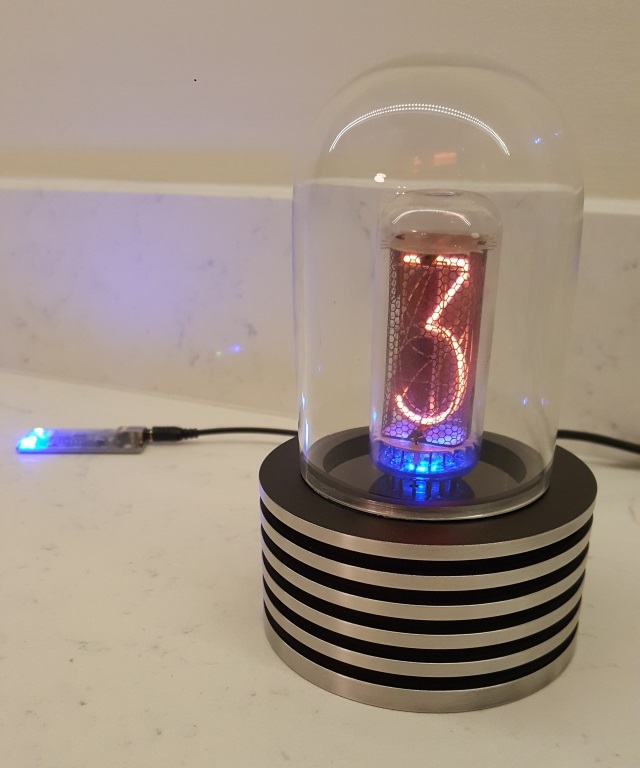 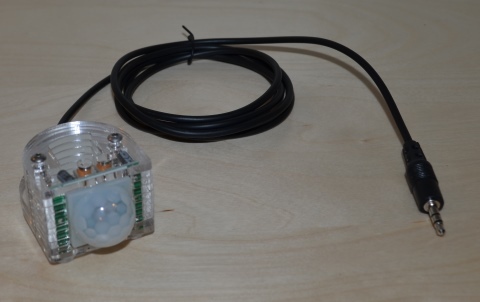 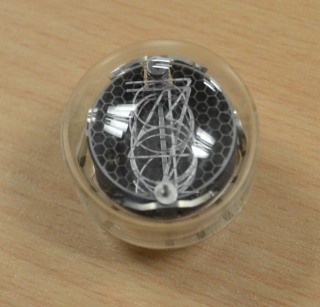 QTC+ takes a new path for Nixie Clocks for mid-sized solder-in tubes. 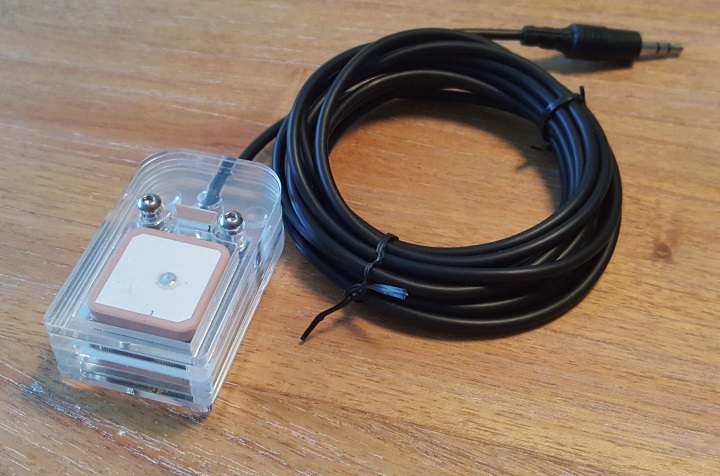 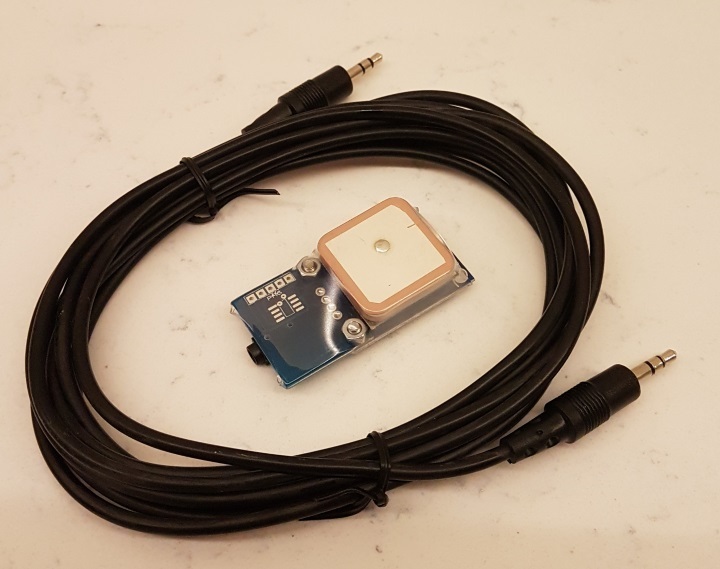 What's new on the QTC+? 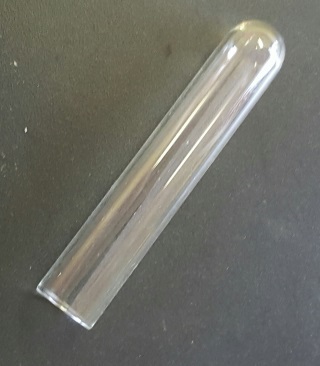 Previously, a failed tube always meant a treacherous operation to delicately remove the tube whilst trying to preserve all traces intact. 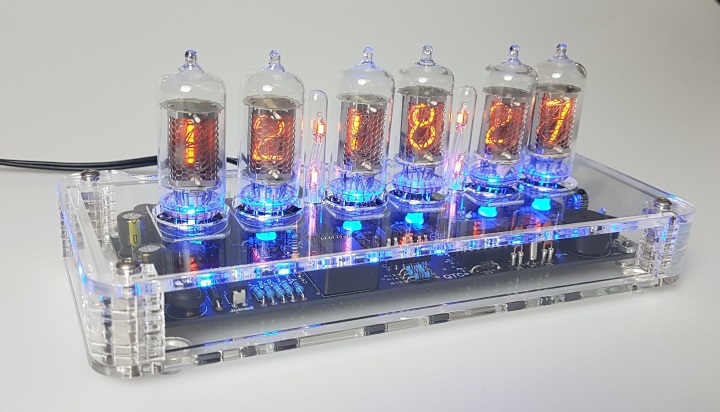 Whilst this was certainly possible, It was never easy, and made it uncomfortable to give a Nixe Clock as a gift in case a tube ever failed. 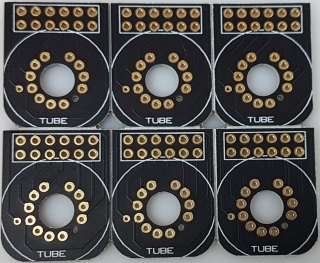 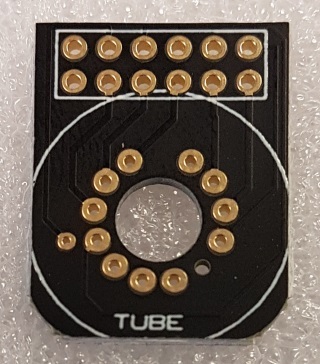 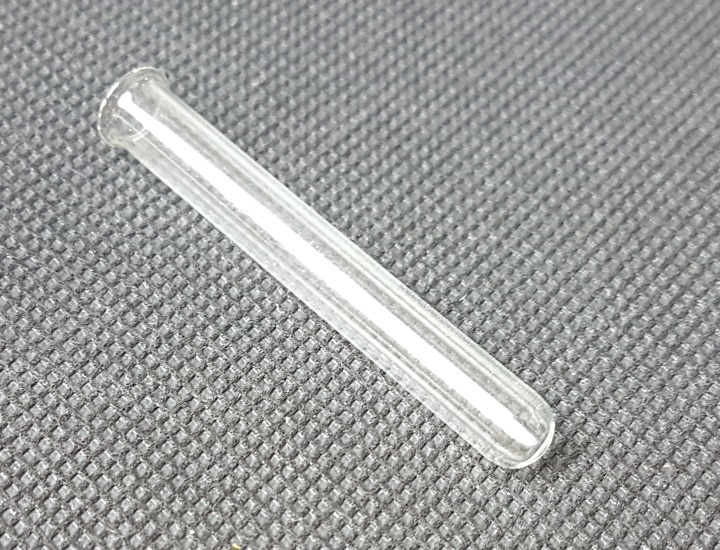 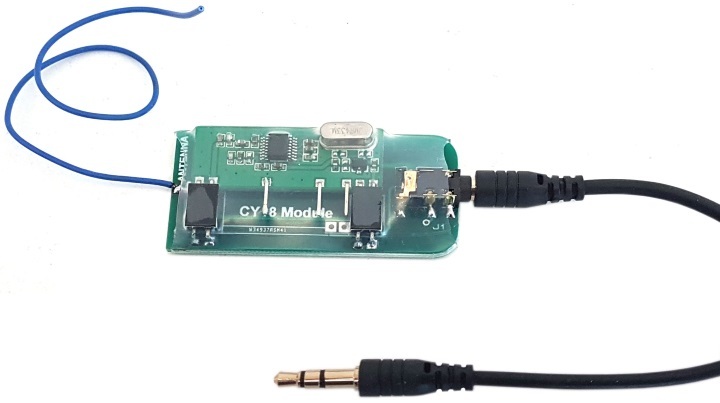 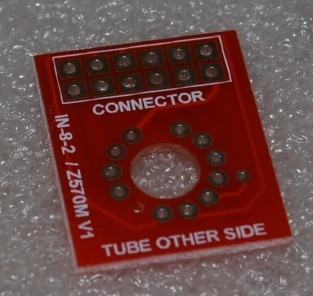 With the QTC system (‘Quick Tube Change’), each tube is soldered only to its own mini ‘tube cell’ PCB. 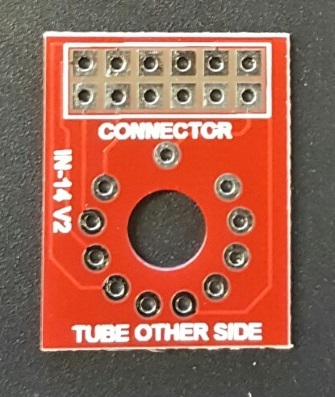 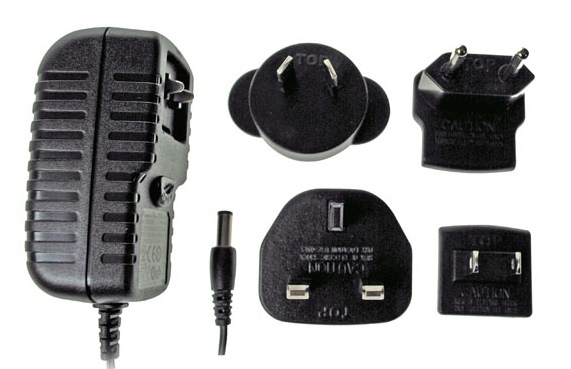 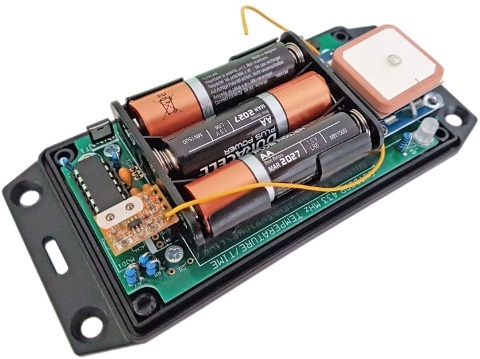 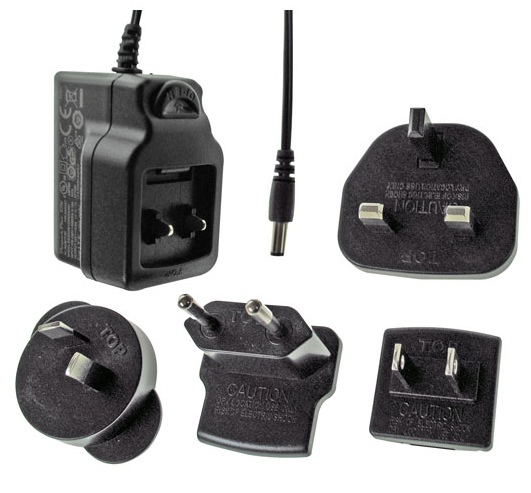 A tube can be changed in minutes with no danger to the main PCB. 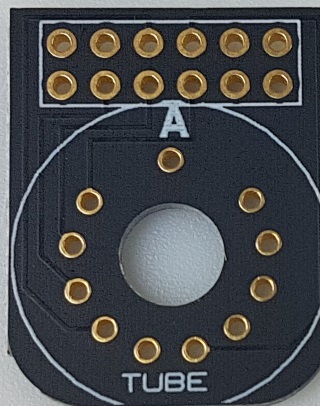 The small addition in cost is dwarfed by the huge advantage this gives. 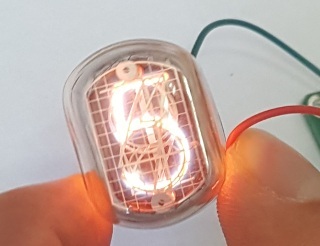 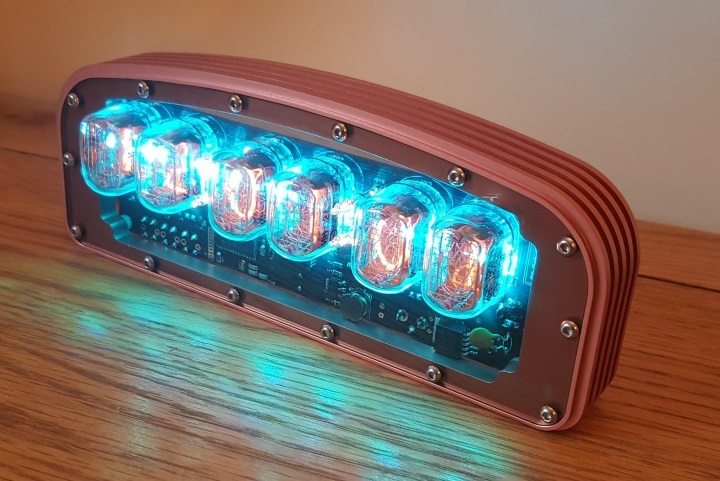 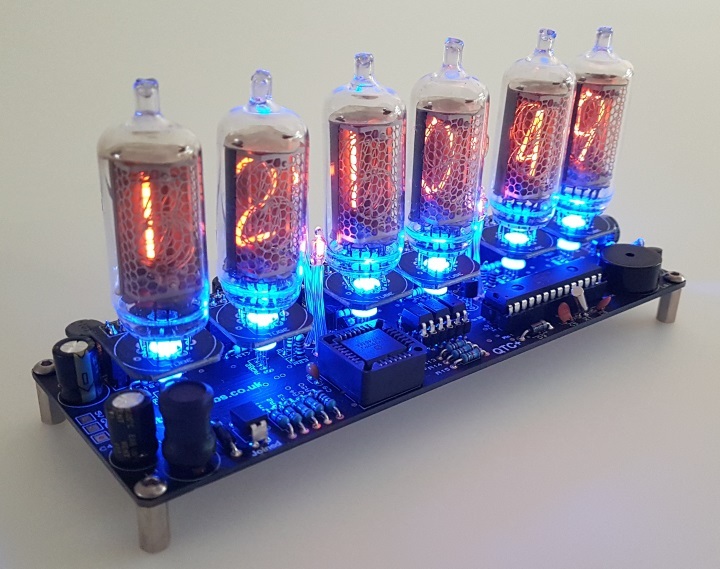 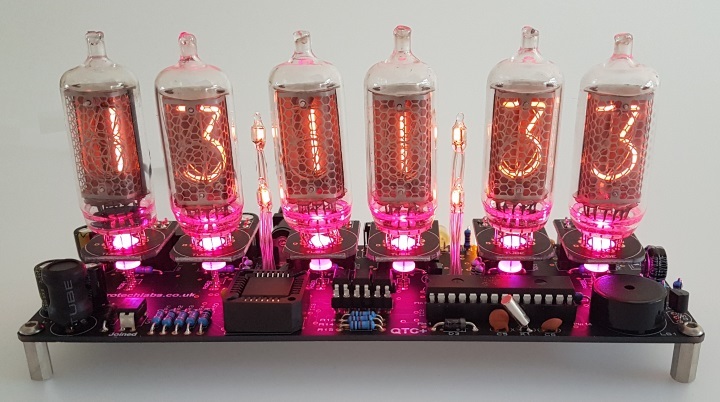 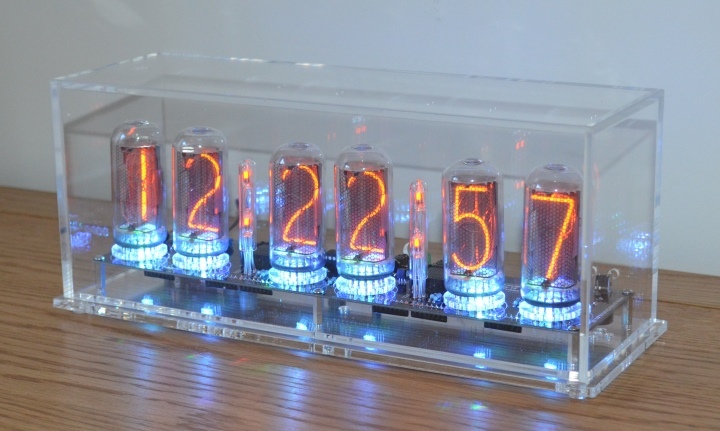 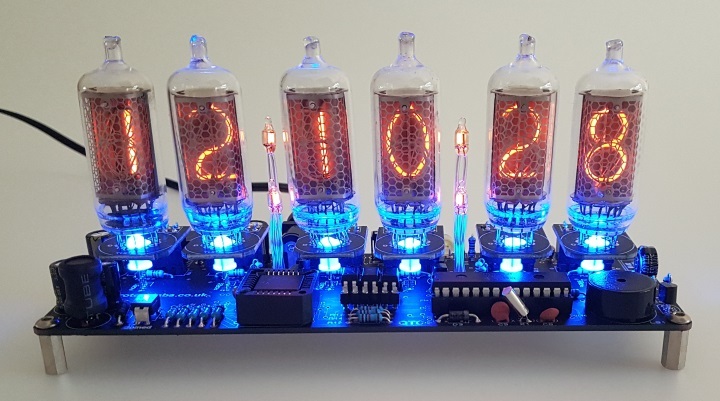 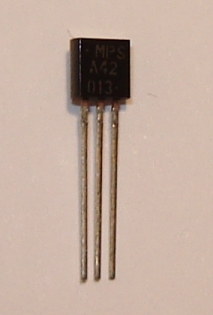 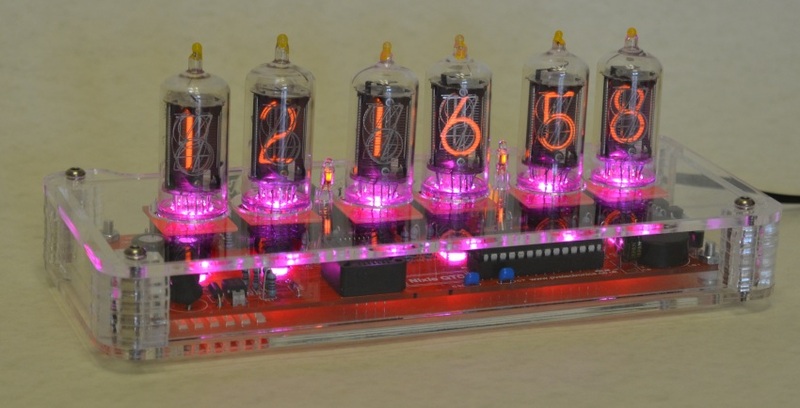 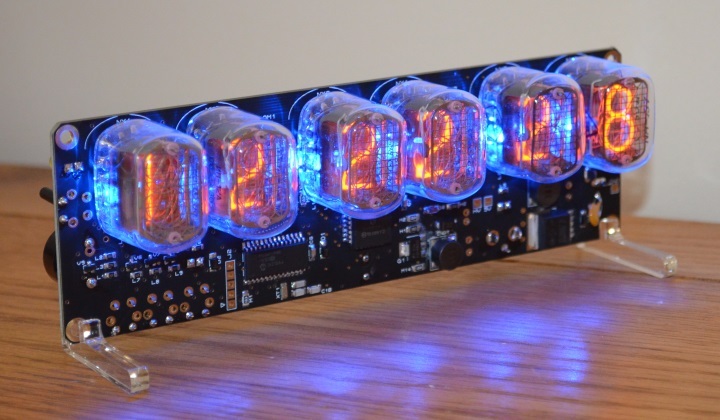 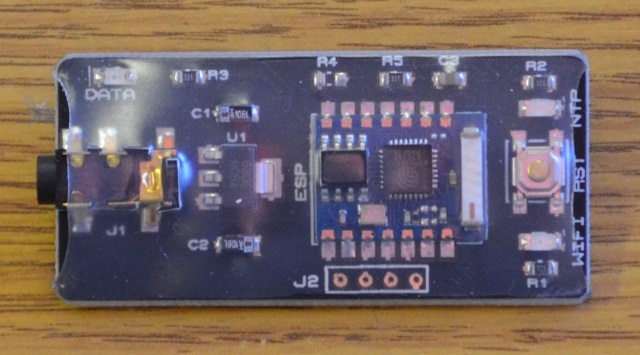 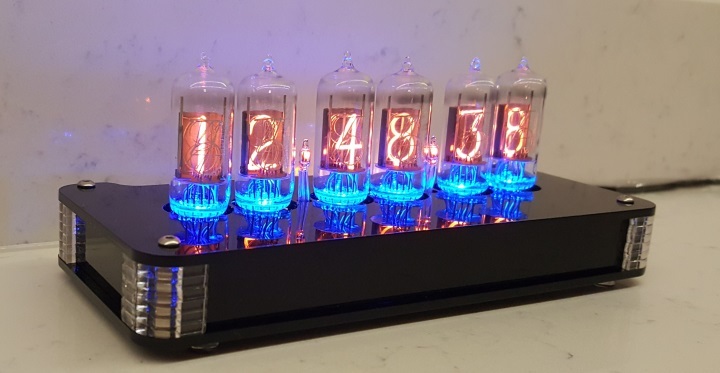 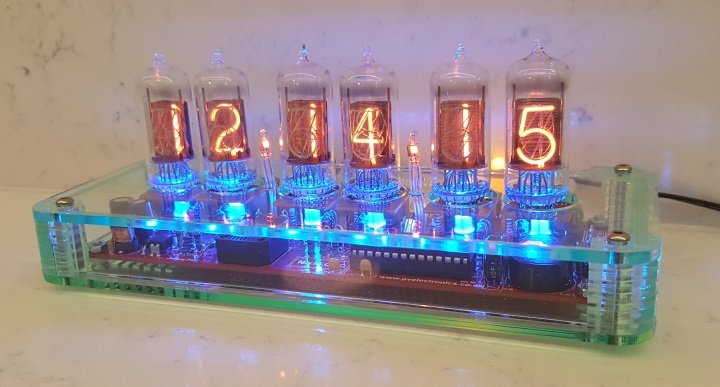 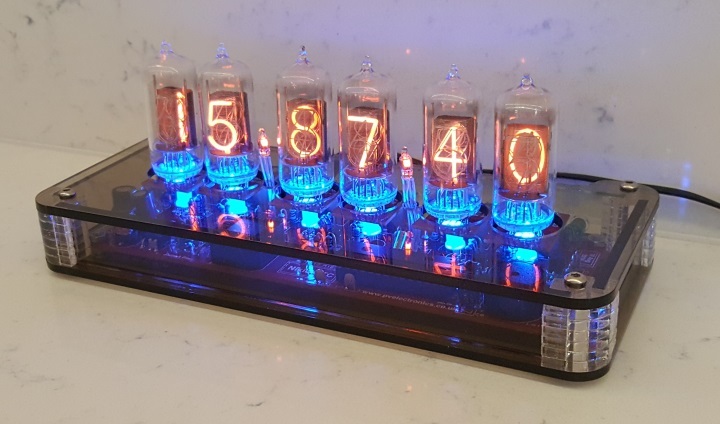 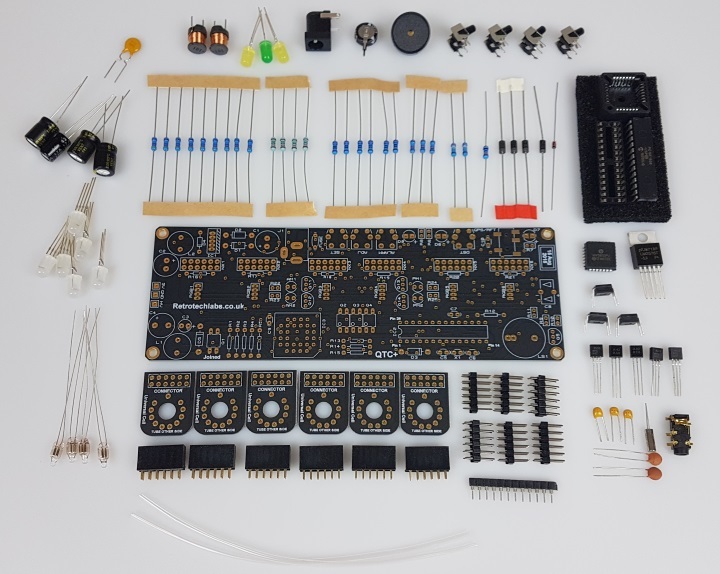 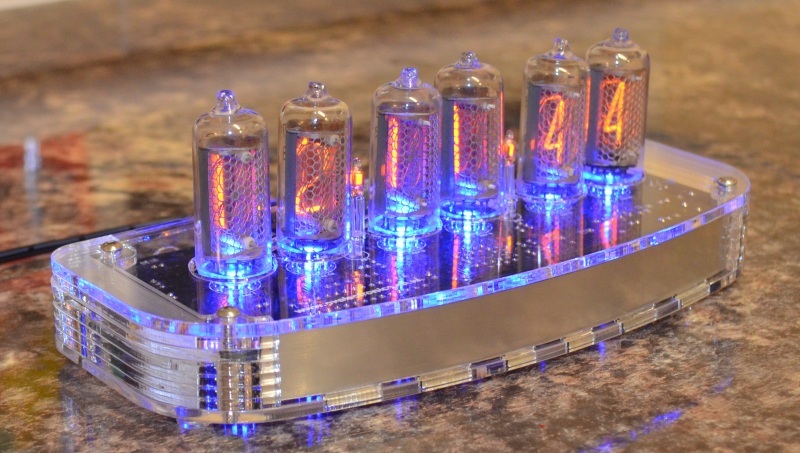 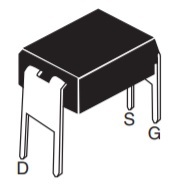 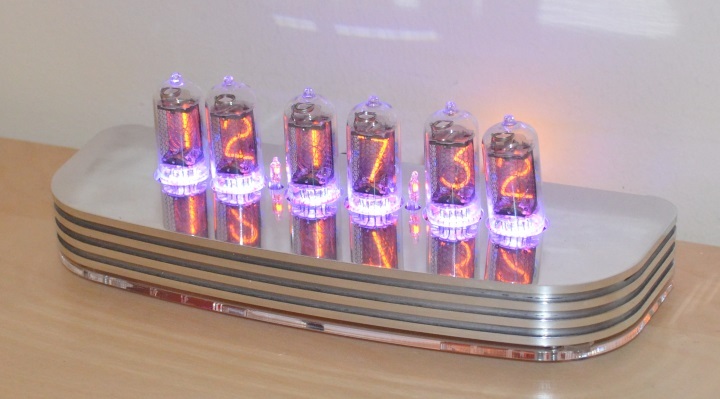 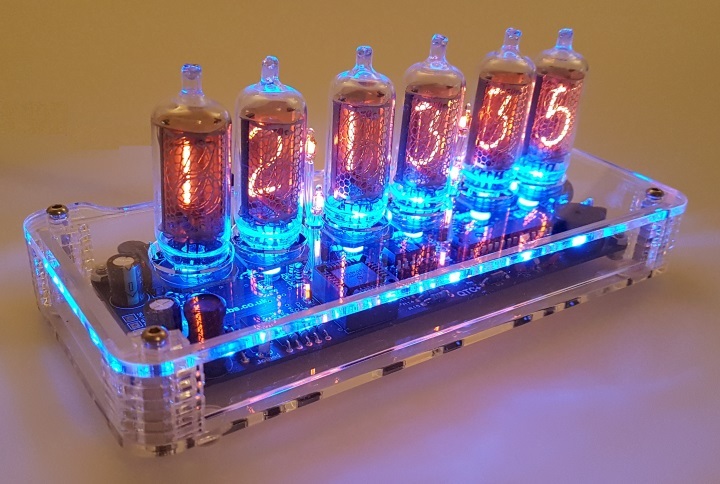 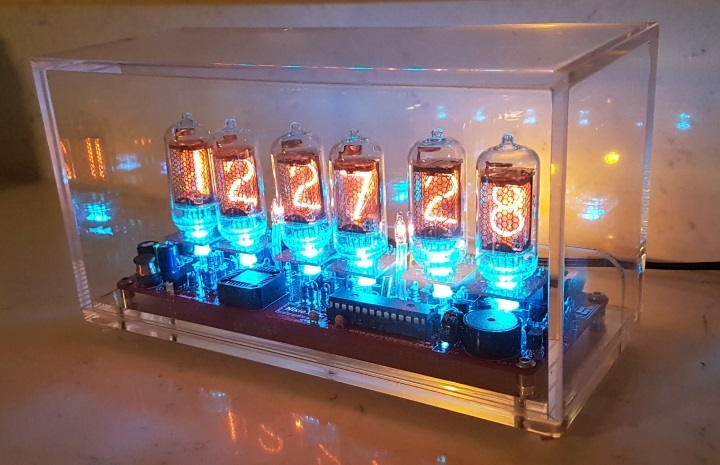 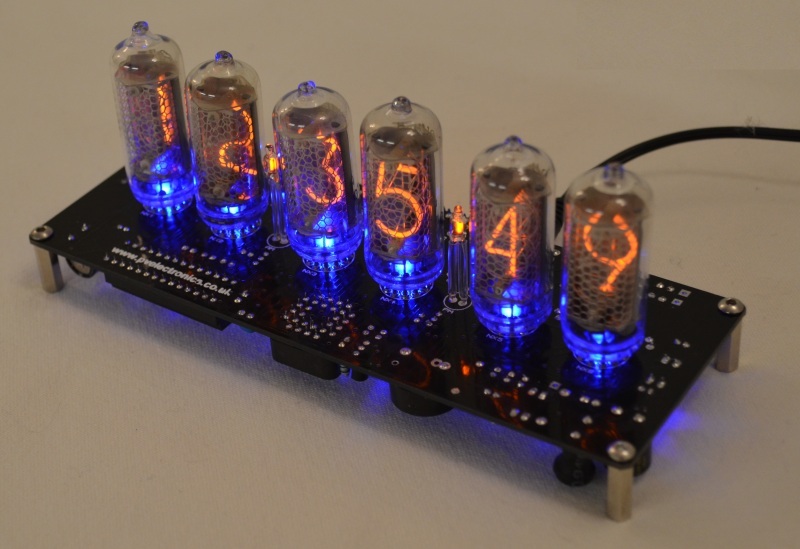 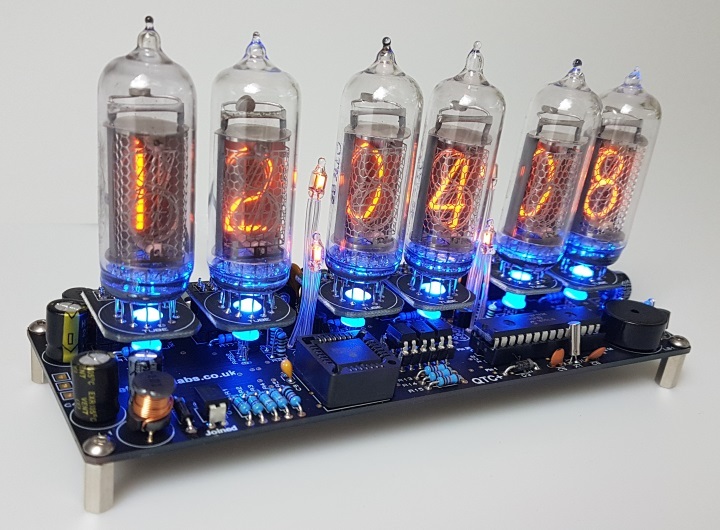 A single main board is capable of driving tens of different types of solder-in Nixie Tube. 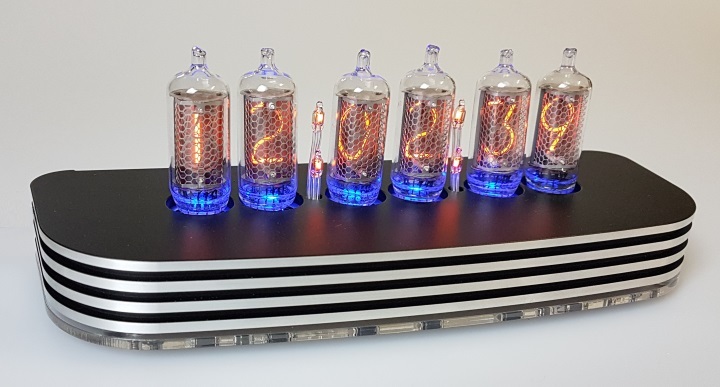 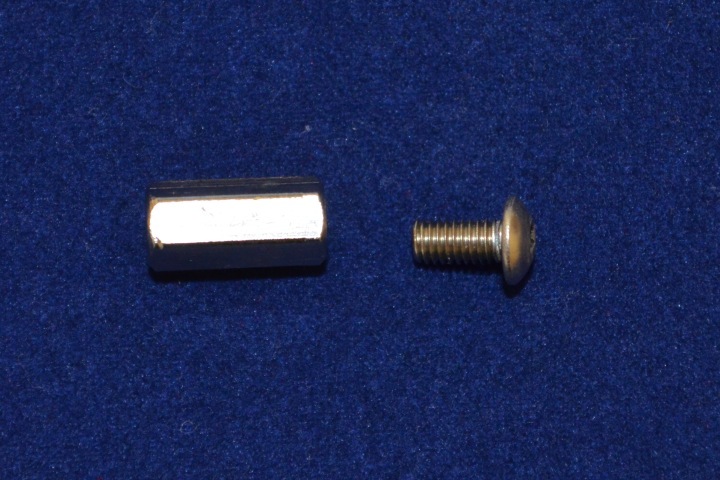 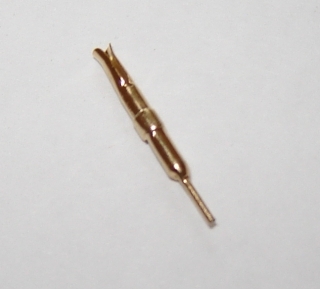 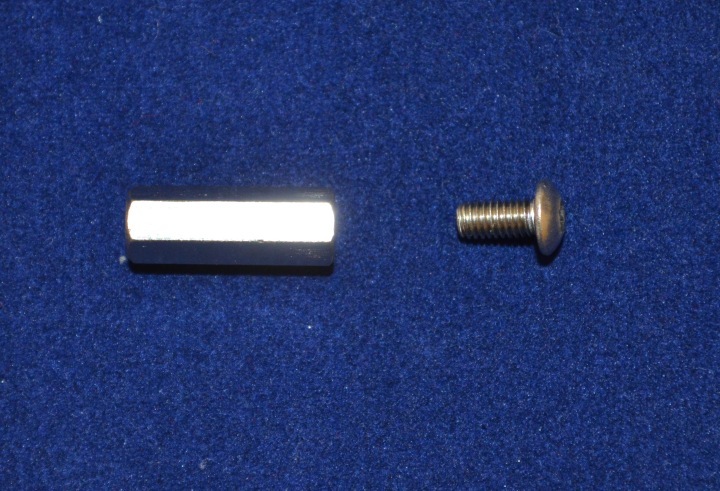 You can even completely change the tube type of your clock by installing new tube cells and tubes. 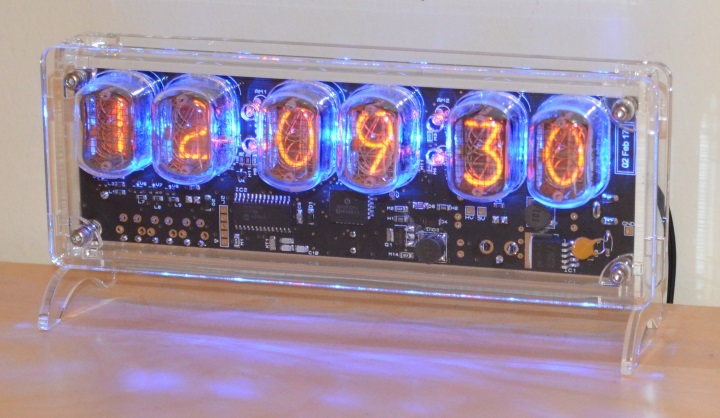 - Display of outdoor temperature in Celsius or Fahrenheit.